Interior Secretary Ryan Zinke and top Utah Republicans have said repeatedly that questions of mining or drilling played no role in President Donald Trump’s announcement that he was cutting the site by more than 1.1 million acres, or 85 percent. Trump also signed a proclamation nearly halving the Grand Staircase-Escalante National Monument, which is also in southern Utah and has significant coal deposits. But the nation’s sole uranium processing mill sits next to the boundaries that President Barack Obama designated a year ago when he established Bears Ears. The documents show that Energy Fuels Resources (USA), a subsidiary of a Canadian firm, urged the Trump administration to limit the monument to the smallest size needed to protect key objects and areas, such as archaeological sites, to make it easier to access the radioactive ore.
Trump instructed Zinke in April to assess 27 monuments designated under the 1906 Antiquities Act, which gives presidents wide latitude to protect federal lands and waters under threat. Energy Fuels Resources did not just weigh in on national monuments through public-comment letters. It hired a team of lobbyists at Faegre Baker Daniels — led by Andrew Wheeler, who is awaiting Senate confirmation as the Environmental Protection Agency’s deputy secretary — to work on the matter and other federal policies affecting the company. It paid the firm $30,000 between Jan. 1 and Sept. 30, according to federal lobbying records, for work on this and other priorities. 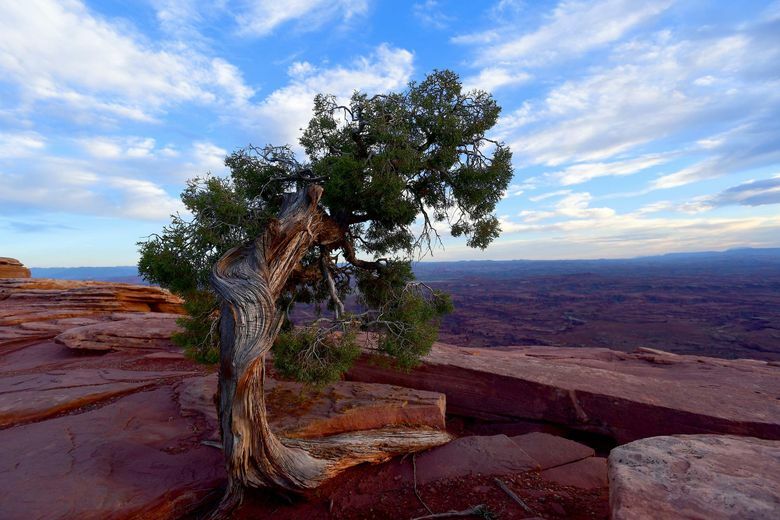 The company’s vice president of operations, William Paul Goranson, joined Wheeler and two other lobbyists, including former congresswoman Mary Bono, R-Calif., to discuss Bears Ears in a July 17 meeting with two top Zinke advisers. Goranson said that the session with Downey Magallanes, who oversaw the monuments review and serves as Zinke’s deputy chief of staff for policy, and Vincent De Vito, his energy policy counselor, was focused on fairly narrow issues. Company officials “were trying to get a sense of what was going on” with the review because some of their air and water quality monitoring stations and a road leading to the now-dormant Daneros mine all lay within the original monument, Goranson explained. “The goal of the meeting … was not to go and advocate on the boundaries,” he said, adding that the lobbying for that was “on a separate track.” Still, the officials proposed small boundary adjustments to accommodate the monitoring stations as well as the mine, he acknowledged. And they emphasized that the company had cut its workforce by more than half since 2015 because of low uranium prices. “They heard what we had to say about the job losses, etc.,” he said. Zinke’s deputies “were pretty positively disposed to” the idea of spurring future domestic uranium production. The Interior Department did not respond to a request for comment. But Goranson said he and other company officials are “confident” that the construction of nuclear plants in Asia and elsewhere, along with other factors, will eventually push prices higher and justify reopening the Daneros mine. Navajo Nation Council delegate Amber Kanazbah Crotty, who represents several communities near Bears Ears, said that the nation opposes any additional uranium development. “We felt the full brunt of uranium contamination and lost a whole generation of men who were mining or milling uranium,” she said. The Navajo Nation and other tribes are challenging Trump’s Bears Ears proclamation in federal court, and Navajo President Russell Begaye expressed confidence in an interview that the move will be overturned.